NEWS! – This video was just released in December and it is nicely done! The following information is presented for your enjoyment and consideration. I am tired of other opinions stating that the Hebrews crossed a sea of reeds, salt marsh, or tidal basin. The Bible makes it clear that pharaoh thought the Hebrews were lost and entangled in the land. That could only happen in the multitude of wadi scattered throughout the Sinai peninsula. Therefore, I’m convinced that the cloudy pillar guided the Hebrews through the wadi and toward Nuweiba Beach. That beach is large and it could easily handle the people and animals. While the Israelites were camped on the beach, and pharaoh’s army was bearing down on them, the Lord placed a pillar of fire at the mouth of the wadi to stop their advance. God miraculously parted the waters and dried up the seabed. The people of God crossed over with walls of water on each side. When pharaoh attempted to cross, God released the waters and the army perished. Nothing is too hard for the Creator. People who attempt to explain away this magnificent event with human reasoning are missing something critical to a relationship with God, FAITH! In late winter 2017 it dawned on me that Mt. Sinai could not be where everyone thinks it is. 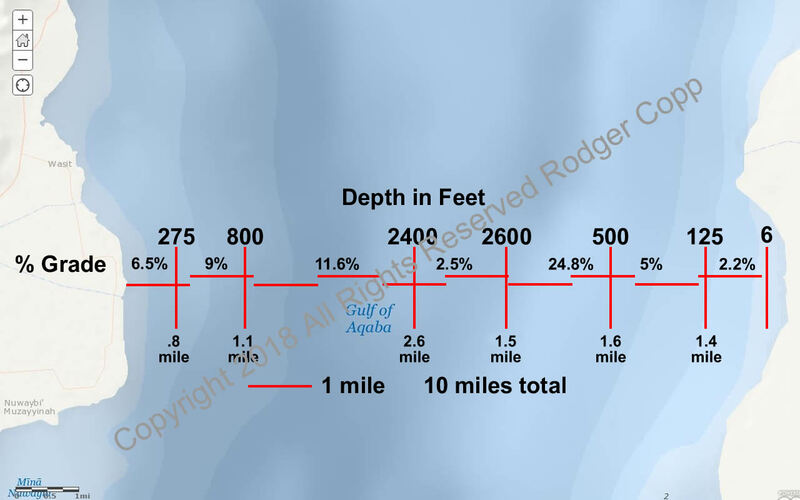 I studied the Exodus account and used Google Earth to locate a possible Red Sea crossing point. When I saw Nuweiba Beach my jaw hit the floor. I continued my research and presented my findings to my Sunday School class over a period of several weeks. I had such great fun with that. 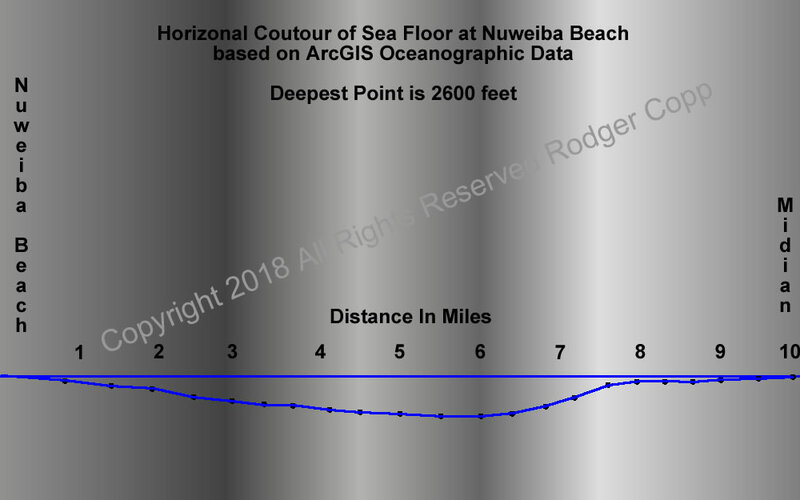 I created seabed contours using ArcGIS sounding data of the area between Nuweiba, and Saudi Arabia (Land of Midian). Contrary to what other online sources indicate, it is passable. As I developed my class notes, I came across Ron Wyatt’s work. It is interesting that he came to the same conclusion long ago. 1-12-2019 – It just occurred to me that the gradual decline on the west side of the crossing point was best for the carts being pulled. They did not have brakes! The incline on the east side is 25%, or for those familiar with construction, a 3/12 pitch. At some point I’ll put my Sunday School lesson on here.